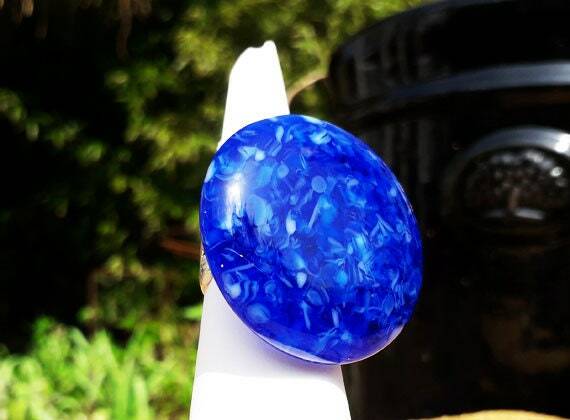 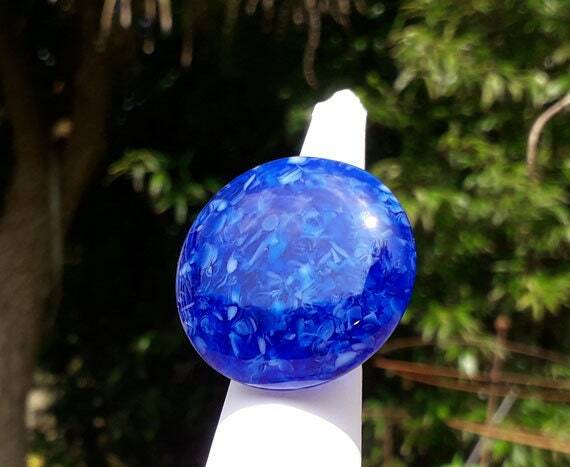 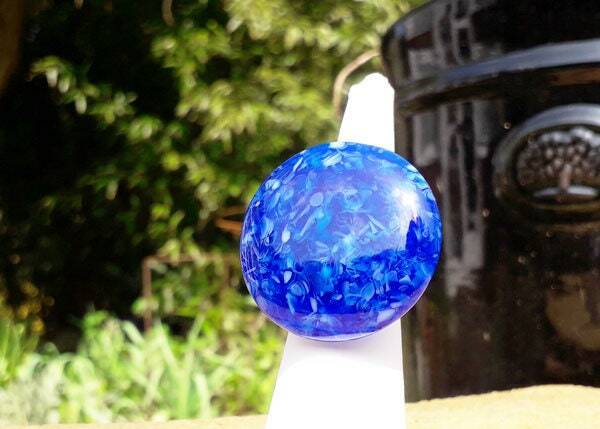 Blue glass ring, cast glass in a lovely mix of bright blues. 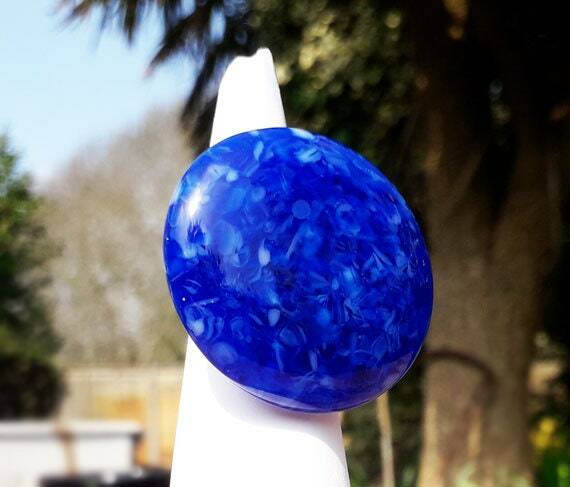 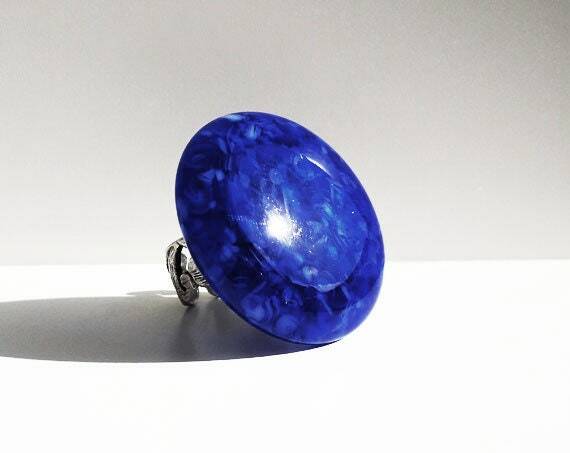 This is a lovely chunky ring, made from cast glass in a mix of blues - pale duck egg blue right through to a deep royal blue. 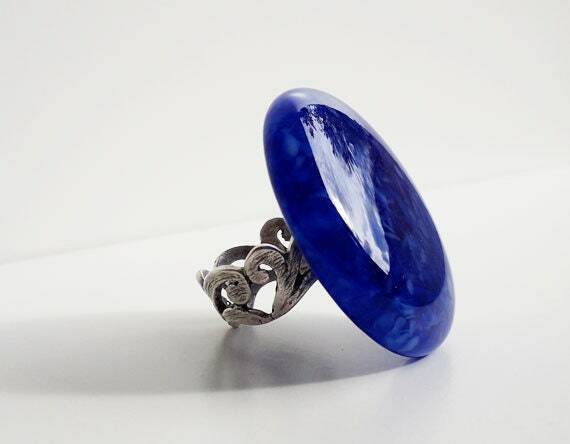 It's about 35mm diameter and is set on a decorative silver band, which is expandable.